Dr. N.Sundarachari M.Sc ,P.hd, USA, a quintessential educationalist, an eminent personality, and a great scientist, started Kennedy High School in Vijayawada in 1969, with a lofty ideal of providing quality education to young children. When he was working as a professor in one of the top American Universities (North Carolina), he was very much impressed by the administration of then the President of America Mr. John Fitzgerald Kennedy. After he came over from America he started the first private school on the President's name Kennedy High School in Vijayawada. The standards set by Dr. N.Sundarachari in the field of school education are unmatchable. The ethics, the code of conduct, the rules and regulations for the students as well the teacher's community is strong and formidable. 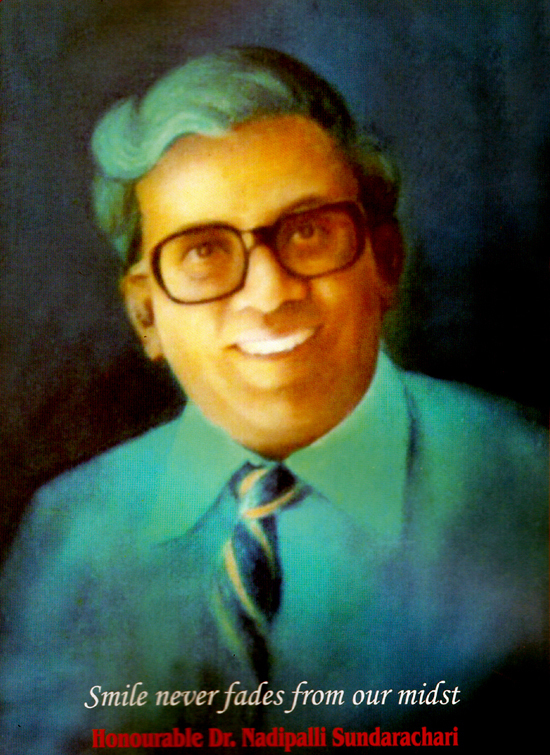 It was the first private school having the strength of more than 5000 under the able administration of Dr. N.Sundarachari. Today, Kennedy is recognised as one of the academic trendsetters of Andhra Pradesh.